From boardroom meetings to banquets - 9 flexible meeting spaces! 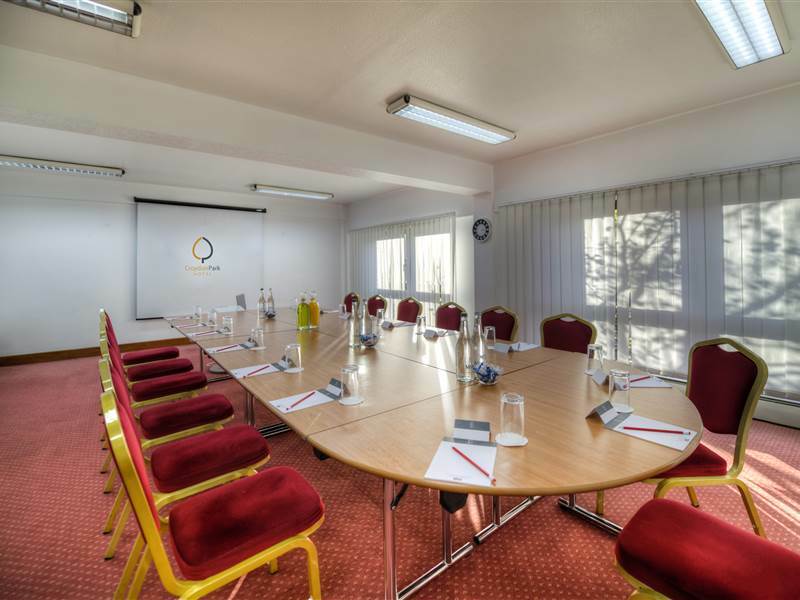 Eight meeting rooms are located on the ground floor and one is on the first floor - all have air conditioning, high-speed Wi-Fi and complimentary filtered still and sparkling water as standard. Some rooms have natural daylight and most are fully accessible. DDRs are available from £28-£37. Maximum capacity is 220 in the Centennial Suite. 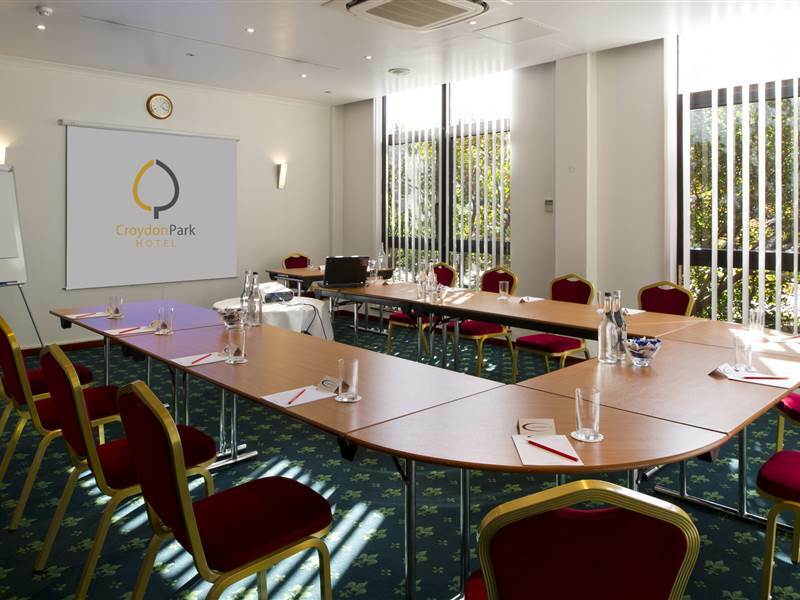 Croydon Park Hotel is member of MIA (Meetings Industry Association) and is AIM accredited. It is also Green Tourism Silver accredited. 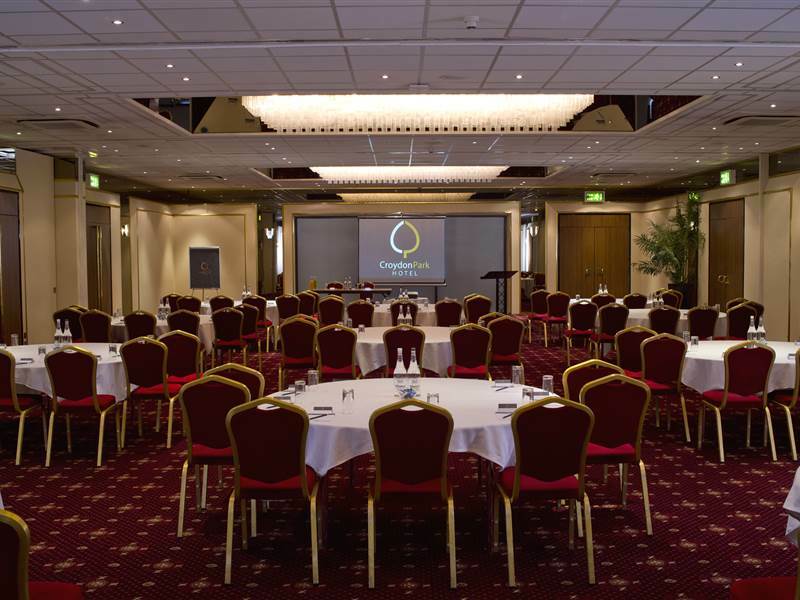 Our largest meeting space accommodates 220 delegates theatre style, 180 banqueting style, or 120 cabaret style. This pillar free suite, with air conditioning, can be split into three smaller meeting rooms: Winston, Wolsey and William. One section, two sections, or the full suite can be booked. The Centennial Suite is on the ground floor. Free high speed Wifi. Both suites are ideal for presentations, team building activities or as syndicate rooms as they have an interconnecting door. The Lindbergh and Johnson suites are located on the ground floor adjacent to the Centennial Suites. Both have natural daylight, air conditioning and built in projector. The maximum capacity in each suite is 40 delegates in a theatre style set-up. Free high speed WiFi. This fixed boardroom has a flat screen TV installed on the wall, that can connect to a laptop for projection. 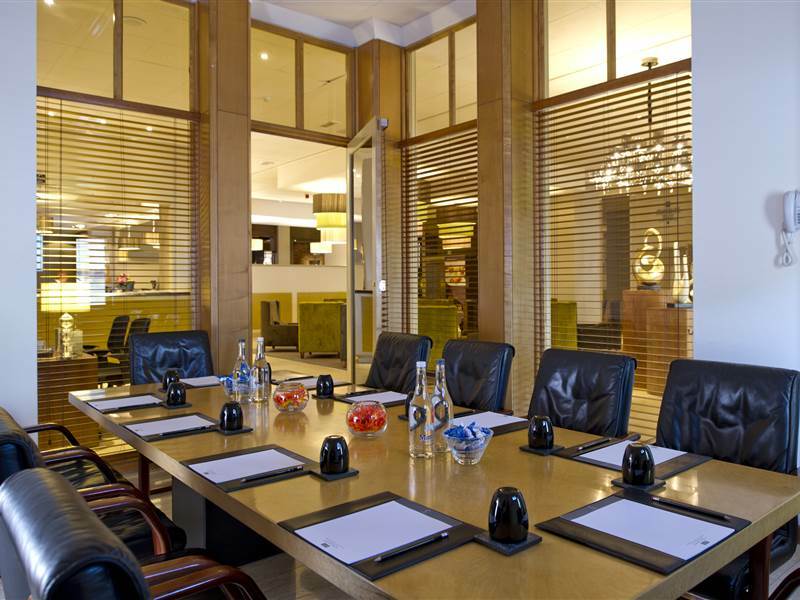 This well-lit room has ten comfortable leather seats around the boardroom table, natural daylight and air conditioning. Located in the lobby, the Marino is ideal for for interviews or small meetings. For privacy, blinds can be closed. Free high speed Wifi. The Derby Suite is located on the ground floor and is fully accessible . It is ideal as the main room for smaller and meetings or as a syndicate room. It has natural daylight and air conditioning. Maximum capacity for a U-shape set-up is 20 delegates. Free high speed Wifi. 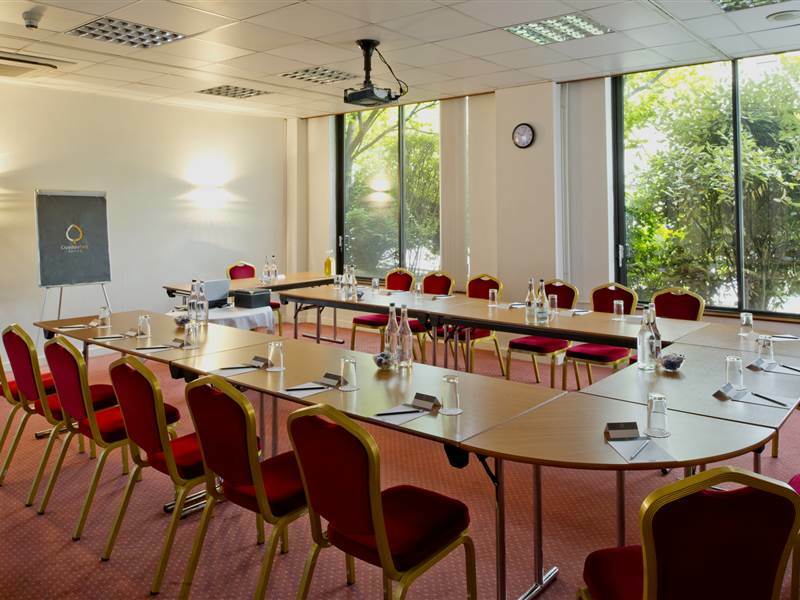 The Barclay Suite is is located on the first floor of the hotel and is ideal for boardroom style meetings for up to 15 delegates or 20 delegates theatre style. This meeting room has natural daylight and air conditioning. Free high speed Wifi.